The initiative by Election Commission, a first in Meghalaya, will facilitate more than 800 visually impaired electorates to vote by a secret ballot. 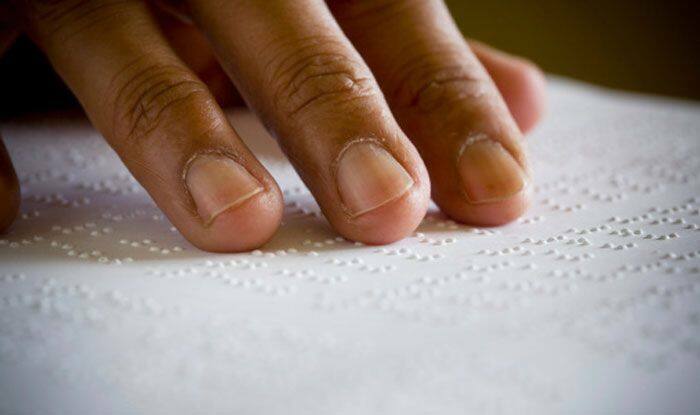 The Election Commission has made arrangements to issue braille-enabled ballot papers at all polling booths in the state, as part of its efforts to ensure wider participation of voters in the upcoming Lok Sabha elections, Chief Electoral Officer FR Kharkongor said. The EC initiative, a first in Meghalaya, will facilitate more than 800 visually impaired electorates to vote by a secret ballot, he said. “We are making preparations to make the election more inclusive. We have already mapped over 4,500 persons with disabilities to ensure that they get priority at the polling booths,” Kharkongor told PTI on Friday. The ballot paper pasted on the electronic voting machines (EVMs) will have the names and symbol of candidates in braille alphabets, he added. Welcoming the move, the visually challenged voters in the state said the initiative will ensure that they get to cast votes independently, without having to depend on anyone. Bertha Dkhar, who has “never let her disability come in the way of her responsibilities as a citizen” of the country, urged every visually impaired voter to take advantage of the new ballot paper. “I used to take my confidant with me every time to the polling booth, as I found it difficult to locate the buttons and the serial numbers of the candidates. This time, I hope things will be different,” Dkhar, who works as a senior coordinator for education at NGO Bethany Society, told PTI. Carmo Noronha, the executive director of the NGO, also lauded the effort of the Election Commission. “Persons with disability have been asking for something like this for a long time. We laud the efforts of the Election Commission. We are encouraging all differently abled persons to cast their votes,” he said. Kharkongor, while talking to PTI, also said that the state election department is encouraging youths and persons with disabilities to come out and vote, as part of its campaign ‘No Voter to Be Left Behind’. Accordingly, the social welfare department has asked all community resource workers to be present at poll booths to assist the aged and the differently abled, he stated. The election department, in close coordination with the Meghalaya Deaf Association, has also imparted training on sign languages to booth-level officials, the CEO said, adding that the department has recently launched a queue management app to ensure easy and hassle-free voting.